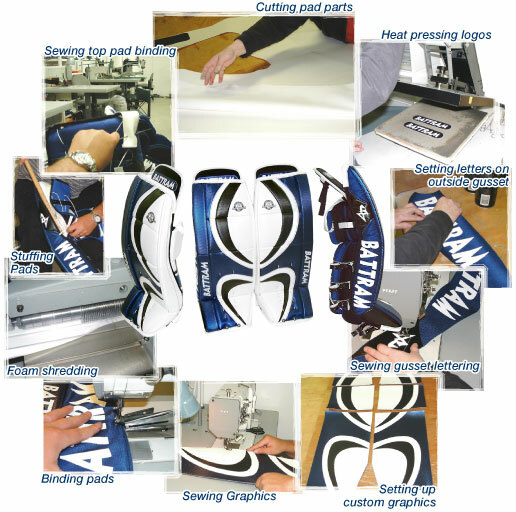 Here at Battram, we do our best to produce affordable products for goaltenders around the world; our equipment is in a class of its own. 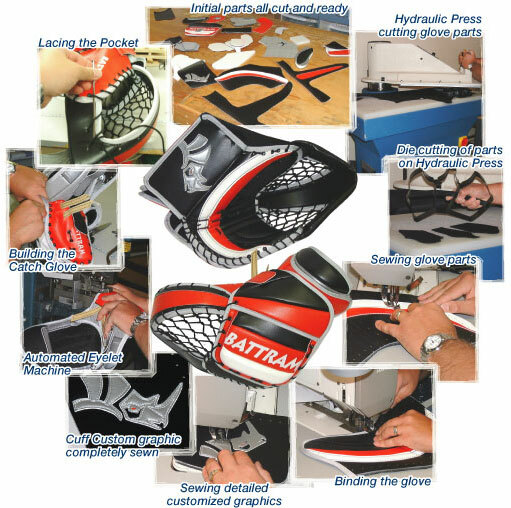 We are so confident in our products that BATTRAM offers a limited lifetime warranty against manufacturer's defects. We believe we are the only company to offer this in the industry. We will do our best to serve you, and correspond with each and every client to make sure they are getting the best service, and a quality custom product for their hard earned dollar. We have shipped gear to Australia, Germany, England, and all over the United States. We like to sell direct to the customer because this way we can eliminate a "markup" of 20-35%. 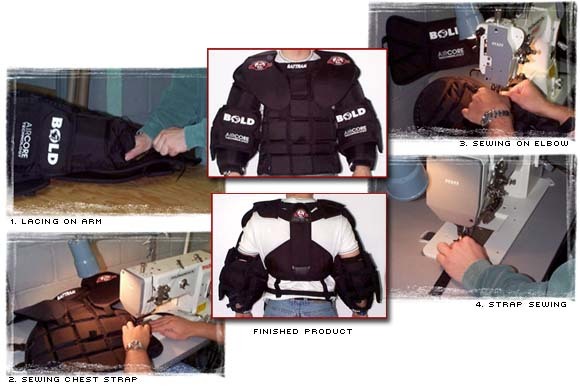 Plus, a few of the big stores like to dictate how they want the equipment made, and usually it comes down to the bottom line - how cheap the product can be had. We WILL NOT be told to make a product cheaper by using inferior materials, just to have our equipment carried by a store. By doing this, we would be jeopardizing our reputation for building top level products. Click on an product to see how it's made.